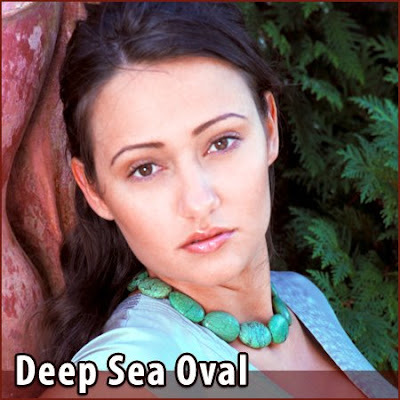 One winner will receive the Deep Sea Oval Turquoise Necklace ($50) from Abella Galleries. Question: What is your favorite Abella Galleries item? Sign the form above. All of your information will be hidden. You can enter this contest daily. Established in May 2007, Abella Galleries is a new forum dedicated to providing jewelry designers, artists, and photographers an opportunity to exhibit and sell their creative works online. Abella Galleries now features an inaugural line of custom-designed white stone and turquoise jewelry by Founder and Creative Director Elizabeth Rowland with work by other artists soon to follow. As their online art gallery grows, they will continue to provide a wonderful source of gifts for women as well as men. Review: I received the Deep Sea Oval Turquoise Necklace ($50), and it is absolutely stunning! The deep sea green turquoise beads will give any outfit a dramatic flair. It looks perfect paired with a little black dress or just casual attire. It also looks great with my Popina Swimwear bathing suit. This particular piece will draw attention (and compliments) no matter what outfit you wear. This necklace is the perfect size for me since I love chunky necklaces. For $65, you can have more versatility with a longer length. They also offer the Aegean Barrel Turquoise Necklace ($50 - $65), Blue Meadow Turquoise Necklace ($25 - $40) and the Retro Round Turquoise Necklace ($65). The giveaway will conclude June 7th. - Follow me on this blog and/ or on Twitter. - Follow Abella Galleries on Twitter. - Become a fan of Abella Galleries on Facebook. Popina Swimwear is inspired by the past and the great women who wore them. Born from a vacation to the Mexican Riviera, one of the first swim suit styles was created because Pamela Levenson could not find a fashionable swimsuit that fit and flattered. She always had a passion for styling of the past and the swimwear was no exception. Reaching back to those eras, she created styles with the influence of days gone by, but with the modern convenience of today’s fabric innovations and bathing suit construction. I received the Retro Sadie in Espresso ($78) just in time for summer, and quickly fell in love with it when I first tried it on. It's a bit challenging to find a swimsuit that is modest, yet fashionable. I like that the swimsuit is form fitting and comfortable. The simple style exudes sophistication. It is perfect for a day at the beach, pool or cruise. It's the most comfortable bathing suit I've worn in a long time! The fabric quality is great, and this indicates that it will last a long time. It might be pricier than the run of the mill swimsuits that you will find at the store, but it is well worth it. One winner will receive the Rachel Top (a $36 value) from Sierra Brooke. Question: What is your favorite Sierra Brooke item? The giveaway will conclude June 6th. Alegra Torel, international fashion consultant. Whether you are in the market to update your current wardrobe, or you are transitioning your clothes for the next season, Alegra is the girl you’ve been waiting for. With extensive worldly experience in fashion, image and beauty consulting, Alegra will help you transform and update your closet into a brand new place. During this process, she will reveal her secrets on how to manage your wardrobe so that it works for you. Below are some of her basic steps to mend one fashion faux pas at a time. 1. Don’t do it alone... This is the first rule and the most important one to keep. Even the best of us have bias/distorted vision. Our wardrobes are our past time. Our entire history is kept behind those doors and re-living your past should not be done alone. · Call over your trusted friend (or your stylist) to offer a second opinion. The colors may be fantastic and the design superb, but maybe the back doesn’t look as good as the front and you just didn’t examine the piece of clothing when you were in a shopping frenzy. 2. Organization is key... Closets should really be organized by season and level of dress. · Buy containers and air tight packs that you can easily store clothing. The level of attire is rather pertinent also. Keep your “going out” clothing to the left and my day time clothing to the right. Everything must be separated so it is not a struggle in the mornings or the evenings when you are rushing to get ready. Then I would even further separate as to weekends and weekdays-work/play...This is where the “trying on” section begins. 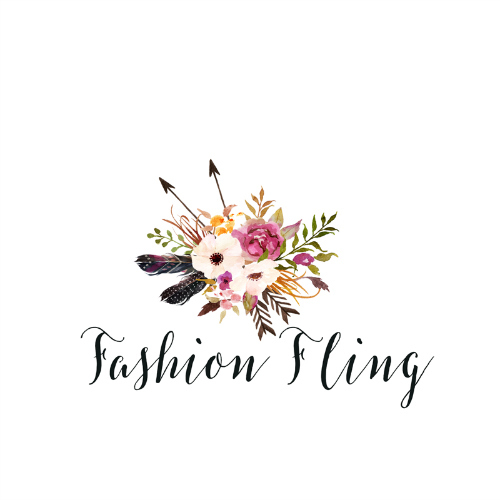 · When you are going through your clothing to separate the pieces into sections, you will begin to find pieces you haven’t worn in ages, even some you have never worn before. It’s okay to let go! This is the longest section of the closet cleanse. It is time consuming going piece by piece and realizing that you don’t really own any key pieces and now your wondering how you managed to get dressed all these years without them. · Now that you have successfully accessed your stock, it is time to replace the old with the new. Shop for the key staple pieces only. ONLY. And slowly, now that you have the basic tools, begin to BUILD your wardrobe. One lucky person will receive Luli Fama's signature “ruched back” bikini - the hottest trend right now! Sign the Google Spreadsheet form above. You can enter this giveaway once a day. The giveaway will conclude May 31st. Note: The winner will be randomly chosen through Random.org and the prize will be sent by the sponsor. One lucky person will receive a Vegan Satchel - Kori by Pink Studios (a $72.50 value) from Vegan Chic. Post about your favorite Vegan Chic item on the comment widget above. Review: Bold and sassy, these Gladiator Platform Sandals ($34.99) aren't for the faint of heart or vertically challenged! Affordable and stylish, this vegan number features a soft pleather and a stylish faux-stack 3½ heel (5 inches at the back) heel and platform. While I love my heels, these sandals took about a couple days for me to get use to. My mom tried these on and she fell (yeah, she is going to kill me after she reads this)! I would not recommend these to someone who doesn't wear higher heels often. Other Soul Mates: Saphiree by Madden Girl ($42.50), Gladiator-Style Vegan Wedge ($36.70), Vegan Peep-Toe Dress Sandal ($42.50) and Ines by Neuaura ($88.99). The giveaway will conclude May 19th. (1) RAGGED Magazine, Issue 6 plus CD from each featured artist, incl. (1) Jack's Mannequin "The Glass Passenger"
(1) The Von Bondies "Love, Hate, and Then There's You"
(1) Anya Marina "Slow & Steady Seduction: Phase II"
(1) Great Northern "Remind Me Where The Light Is"
(1) The Knux "Remind Me In 3 Days"
Post a comment on the widget above. The new issue of RAGGED is once again combining the worlds of music and fashion with compelling features on today's hottest up-and-coming artists highlighted by the cover story, “Jack's Mannequin: Bringing It Home,” where Andrew McMahon gives a rare look at his journey through battling cancer and writing records. Other featured artists include Asobi Seksu, The Von Bondies, Anya Marina, Great Northern, The Knux, and the winner of the first-ever RAGGED emereging artist competition, Robotanists. RAGGED #6 is available to download free online at RAGGED Mag along with music from all the artists and all previous issues of RAGGED. This particular giveaway is open to our US readers only. The giveaway will conclude May 17th. 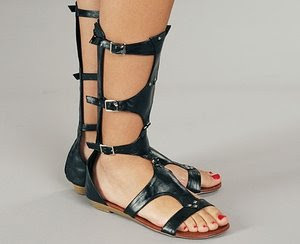 Two winners will receive a pair of Tall Gladiator Sandals in Black from GoJane. Post a comment about your favorite GoJane item on the widget above. Tall open toe gladiator sandal featuring diamond shape shields with side buckle closures linked together with metal buckle detail. Back zipper closure. The giveaway will conclude May 10th. I received the Anchors Away Dress ($74) from Shabby Apple. The style of the dress is stunning! 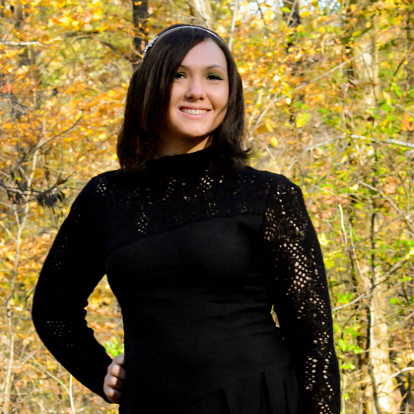 This dress is perfect for a day at the park or a night out in town with someone special. It features a Peter Pan collar and double-breasted buttons with a functional flap. The dress has a side zipper and patch pockets with button details. It has a cotton and spandex blend that makes it slightly snug, but very comfortable to wear. Buxom women should consider ordering the dress in a larger size due to the fact that this particular dress runs small. Shabby Apple loves to help women dress but are also committed to helping women live as well. Thus, we are supporting the fight against global poverty by partnering with Unitus - a non-profit organization that accelerates access to life-changing financial services for those at the bottom of the economic pyramid. Shabby Apple donates 5% of its net dress sales to support work in India (where Shabby Apple sources many of its dresses the textiles used to manufacture its dresses). In addition, each Shabby Apple customer has the opportunity to donate an extra five dollars to Unitus every time she buys a dress. Shabby Apple and Unitus are involved with 10 of India's most promising micro finance organizations that provide financial services to more than 1.6 million hard-working women and their families. Every $100 donation from Shabby Apple provides at least 20 women with access to financial services - and the chance to live a life without poverty. 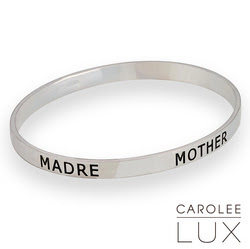 One winner will receive the Sterling Sentiments MOTHER Bangle Bracelet (a $115 value) from Carolee. Post a comment about your favorite Carolee item on the widget above. Sterling Sentiments® MOTHER bangle engraved in 5 languages - Italian, German, Spanish, French, and English. The giveaway will conclude May 14th. 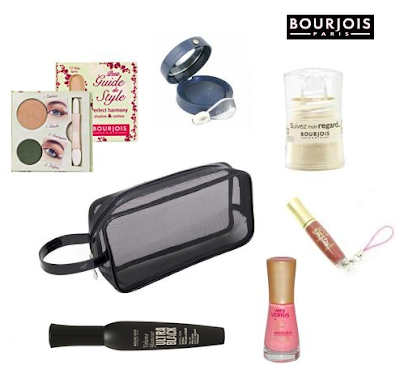 One winner will receive a Bourjois Paris cosmetics bag filled with $50 worth of Bourjois Paris products from BeautyTicket.com. 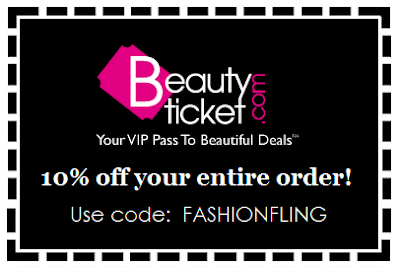 Post a comment about what other products that you like at Beauty Ticket on the widget above. Quantities are limited, and once a beautiful deal is gone, it's gone for good! (They don't re-stock the same item twice due to limited availability.) New products and brands are added each week, so be sure to check back regularly for site updates. And don't forget to sign up for BeautyTicket.com email for advanced notifications of future steals you probably won't find anywhere else!